Arm knitting! It’s a thing and I learned how to do it. 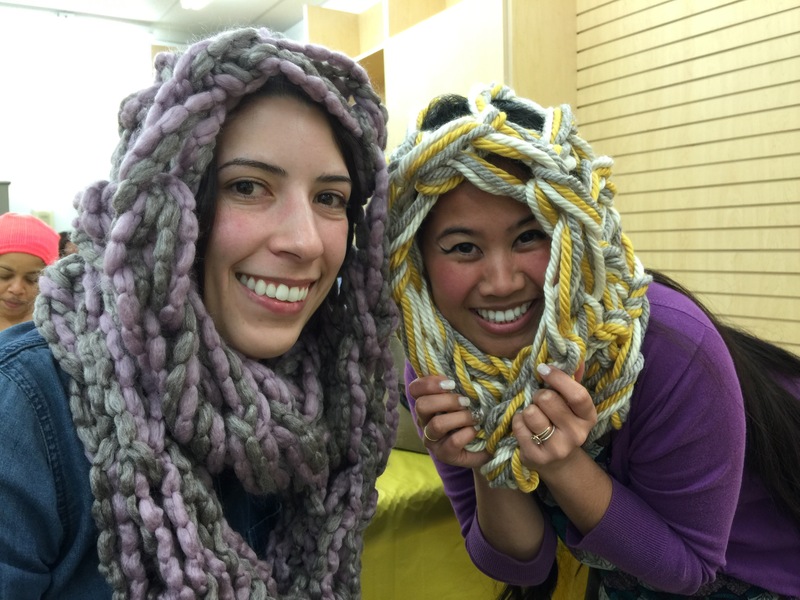 My friend and I took advantage of a free arm knitting class at Michaels last month. I tried regular knitting in the past but always had trouble keeping the yarn on the knitting tools. Using your arms is so much more doable for me, and way more fun. Plus, you can finish a project in thirty minutes or less! Our instructor helped us pick out yarn and then led us in a step by step tutorial. We had infinity scarves in no time! We call this our ewok style. After class we bought more yarn. So. Much. Yarn. 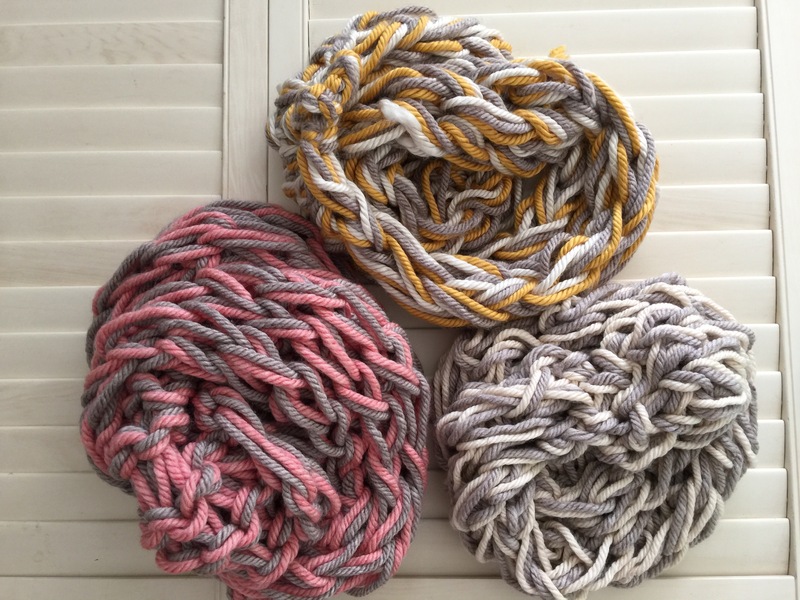 And made so many more scarves – perfect for winter gifting! Or opening up your own arm knit wear shop. What new crafty skills do you want to learn this year? Share below!